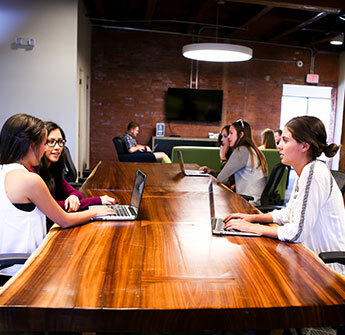 FUSE Coworking is a shared space where Lincoln’s independent professionals, startups, remote workers and entrepreneurs can work, learn, collaborate and create. ALL ARE WELCOME. WE WORK TOGETHER. Attracting Lincoln’s top technology and talent, FUSE provides coworkers with everything they need to succeed: a place to work with blazing-fast internet; meeting space; and, of course, coffee. On top of meeting the physical demands of a great space, FUSE immerses coworkers in a culture where people can bounce ideas off others and put their brains together to form unique solutions. In short, FUSE gives startups, entrepreneurs, corporate innovators, freelancers and telecommuters a place to call work. NO MORE GETTING SIDE TRACKED. while working in a versatile space. We offer flexible plans from hot-desks all the way to your own private suite. With 24 hour access, the option to book conference rooms and many other perks included in every membership, we’re sure you’ll be set up for success. in a thriving startup community. 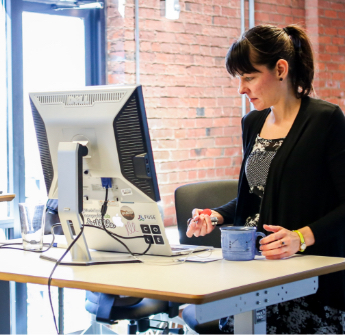 Located in the heart of the Haymarket, FUSE is immersed in the Lincoln startup scene. The variety of events offer exciting ways to network within the community to foster innovation and sustainability, as well as help you nurture a strong team culture. BECOME A LEADER. SHARE YOUR VOICE. as you grow your business or startup. We offer a wide variety of lectures, workshops, and tech trainings each month for members to attend. Become a leader in the community by presenting on a hot topic. "At Bulu we build full private label Subscription Box programs for big brands like Disney, Crayola and Buzzfeed. Stephanie and I had the idea for our own Subscription Box after running the San Francisco half-marathon and receiving free samples. I remember thinking "damn, I can't believe companies just give all of this sh*t away!" We went back to our apartment that night and truth be told, I actually googled for the product assuming it existed and it didn't! You know you've either struck gold or it's a terrible idea if Google's got nothin'. That same night we built wireframes for a website and within a matter of months, we launched. We decided that after a decade working on ad campaigns for Lowe's and Nike & Leapfrog, it was time for us to go all in and do our own thing. We were about the 6th or 7th Subscription Box to market and have quickly grown to be the industry leader as a one-stop-shop for Subscription Box solutions, working with major national brands. We are passionate about creating value for anyone we work with and that has resulted in shipping of millions of boxes each year. 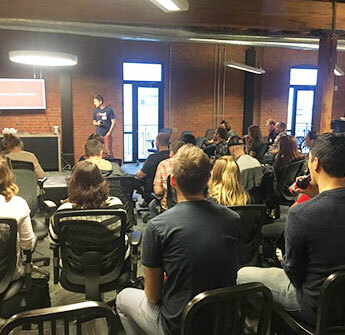 It's been AWESOME to be a part of the FUSE community where we are able to connect with other growth-oriented entrepreneurs who all truly care about our community." BE INVOLVED WITH OUR COMMUNITY.